Looks lovely but does not compare to YOUR beautiful blues! Handsome boy! The water matches your eyes! Great shot. Blue on blue. I won one of your books and you’re sending it to me. When I told my mother (age 86) about it, she wanted to see your blog, and then she wanted a book so she can know about Bailey Boat cat too. I ordered it for her and it arrived to her today and she loves it! WOW! 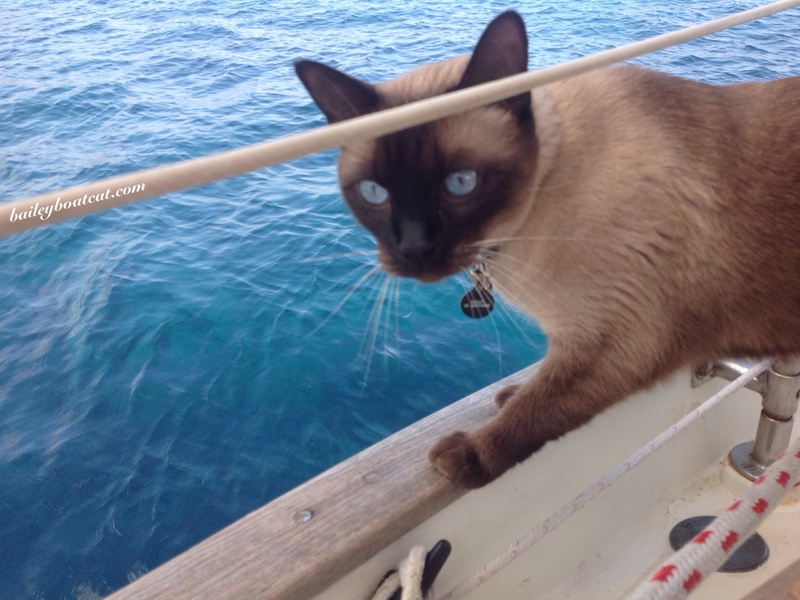 That is a gorgeous photo – your eyes match the water purrfectly! How awesome, Bailey – your eyes match the ocean! Bailey your eyes are beautiful blue like the ocean. Are you watching your Mom and Dad swim Bailey? I’m ready to dive in too!